Ring a Link operates Local Link bus services on behalf of the National Transport Authority (www.nationaltransport.ie) in Counties Carlow, Kilkenny, Wickow and in South Tipperary, as well as operating the www.ringalink.ie website, all from offices located in Unit4, Cillín Hill, Dublin Road, Kilkenny, R95 A4VP, Ireland. 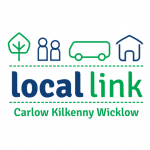 This page informs you of our (Ring a Link’s) policies regarding the collection, processing, and disclosure of personal data when you use our Service and or when you are contracted by us to operate transport services. We may also collect information how the Service is accessed and used. This This usage data may include records of transport services used, locations travelled from and to, and account information relating to fares paid. Personal data you provide to us will be stored and processed on servers located only in the Republic of Ireland, and in full compliance with European General Data Protection legislation 2016/679. Some of your personal data may be transferred to transport companies sub-contracted by Ring a Link to operate bus transport services. Only those items of personal data required to provide transportation services shall be transferred to such companies. If you are located outside the Republic of Ireland you provide us with personal information, please note that we transfer the data, including Personal Data, to the Republic of Ireland for storage and processing. While no method of computerised data security is completely secure, we, Ring a Link, take every precaution to ensure that our methods for retrieving, storing and processing your data are as secure as possible.